New to the Bookshop, the Polaris body chain. 24k gold plated North Star charm with a sterling silver body harness. 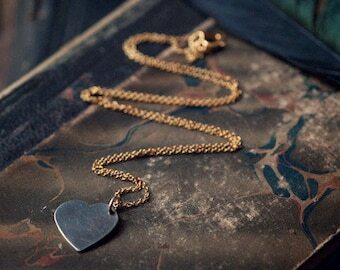 The Sibyl necklace is now available with a gold plated pendulum and gold filled chain. 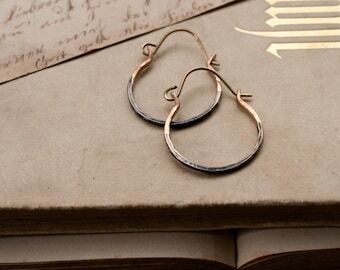 Hoops are now available in the Bookshop, in small, medium and large and coming soon in sterling silver. 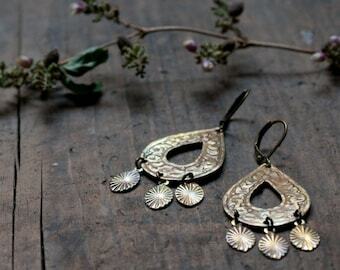 I love the idea of multi purpose jewellery, something that is not just for decoration but that also has a function. 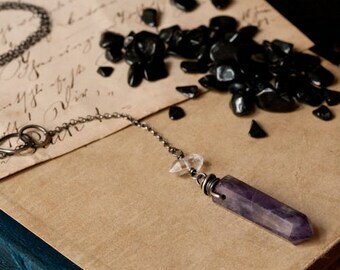 Like this pendulum necklace with amethyst and Herkimer diamond. A fresh delivery of antique keys means that these rosaries in honour of Hekate can be sent out to their new owners. I've been wearing a bunch of these beaded wire stacking rings for ages now but have only just managed to photograph them and listed. 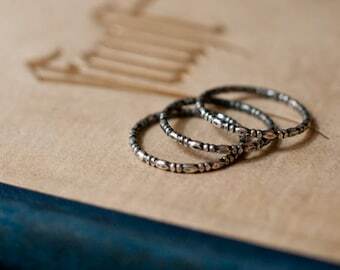 Buy a single stacker or a set of three. In the Bookshop all that glitters really is gold... This year I'll be offering many of my bestselling designs in 14k gold and gold fill. Getting ready for Valentine's Day with a new love heart necklace following 2018's theme of mixed metals... Blackened sterling silver and 14k gold fill. 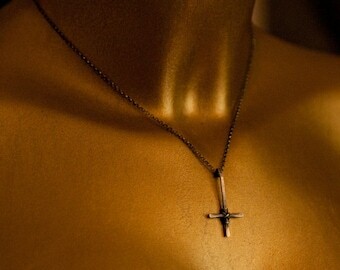 New design to celebrate the divine feminine... Sterling silver Yoni with a 14k gold fill chain. 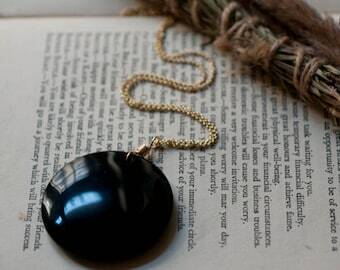 Very happy to announce that my Obsidian mirror necklaces are back in stock! Little snakes to honour Athena... only a few star rubies left in stock! New rough top aquamarine cabs are in stock so one of my favourite rings can be relisted. Only four if these stones though so get yours while you can! Enjoying a glass of wine while watching some Grindhouse TV to celebrate reaching 1,500 Etsy sales. I love you guys!!!! 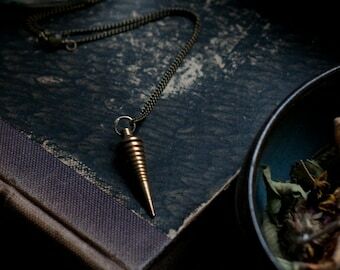 Sibyl brass pendulums back in stock. Many of my brass bestsellers are now available in sterling silver, like my 5 moon phase necklace. Working on a couple of custom orders this week using cultured pearls... This one is a teeny 2.5mm bezel set sterling silver stacking ring. My bestselling Fibonacci spiral ring is now available in solid 14k gold for under $150! Preparing some new vintage keys for the Hecate rosary. A new supplier for genuine Herkimer diamonds has made this jewelry designer very happy... My cage pendant is available again!! Starting the week with a customer order for my Sunburst necklace... A perfect fit with the blue skies over The Bookshop this morning. Ouroboros rings and bangle ready for packing. They'll be sent on their journey to their new homes this afternoon. Very happy to have had time today to list these gorgeous crescent moon earrings, inspired by one of my bestsellers but in sterling silver! The first of two new caged gemstone necklaces has now been listed. Smoky quartz and mixed metals. Hecate rosary, moonstone, bone and onyx necklace, vintage key pendant, moon goddess necklace, prayer beads, altar beads. Gold fill and obsidian mirror necklace, scrying pendant, large black gemstone, geometric jewellery, Magick, black obsidian necklace. Love heart necklace, Valentines gift, mixed metal sterling silver and 14k gold fill necklace, love token, sweetheart necklace, Luckenbooth.